Jacobs Zuma's fight over alleged public fund used in his Nkandla's home is showing that to be a leader is surrendering one's life to scrutiny. 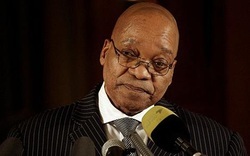 The African National Congress, ANC and the office of the Public Defender have been at loggerheads over R246m said to have been used in renovation works at Zuma's Nkandla home. Zuma had said the money was used for renovation works to beef up security for his home, but the Public Defender's office said swimming pool's renovation, part of the work in the president's home was not for security. The office demanded that Zuma pay back part of the money for the renovation of his home, but the president was adamant. The ANC went to court in an effort to douse the raging fire over name calling it called false, which the DA used against Zuma in SMS message during electioneering, suggesting that Zuma had stolen the people's money to renovate his home. The Electoral Court agreed with the ANC. An appeal was lodged by the DA to the Constitutional Court. But rather for the removal of the stealing tag employed by the DA against Zuma be upheld, the Constitutional Court ruled that using public money to renovate a president's personal home can be tagged stealing, since it is not a statement of fact, but it is only a comment or opinion. The Constitutional Court' judgment came after the DA's appeal against an Electoral Court's judgment that said the DA's SMS message was false. It is the latest from loggerheads between the Public Defender's office and Zuma over R246m spent on security facelift in his personal home in Nkandla.